I bough (2) 6x8 plates and put them to a 5.56 m855 and standard M193 test. I put about 30 rounds of m855 and around 20 m193 on the same plate at 25 meters and the plate only had one punch through somewhere in the last set of 20 m193 rounds! Very good quality and the Paxcon is really neat and will definitely protect you from fragmentation. I have the 10X12 shooters cut Level III+ curved with the coating for my front and back plates and now I have these for my sides. I trust this vest with my life. A bit heavy BUT I know I'm protected if I were in the the plates. 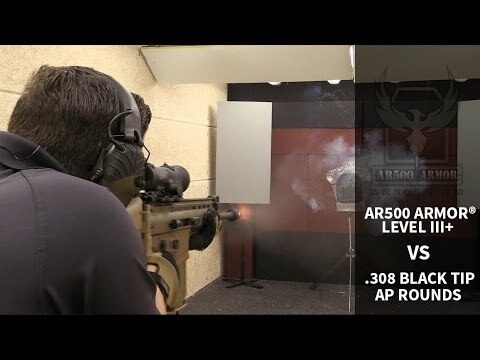 Top notch products from AR500!!! 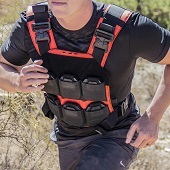 You're reviewing: AR500 Armor® Level III+ Side Plate Body Armor 6" x 6"
AR500 Armor® Blunt Force Trauma Pad - 6" x 6"